This wadding is really the best of both worlds. You have the benefits of cotton and the stability of polyester. and it will keep you warm without the weight. 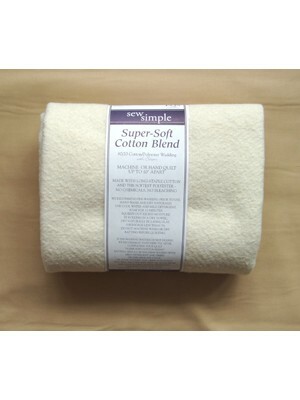 For warm or cold days with this wadding you’re covered. Hobbs Heirloom Natural Cotton Batting with a scrim binder. Craft size 36" x 45" (91.4 x 114.3cm) 100% Unbleached cotton Heirloom natur..
Hobbs Heirloom Black pack measures 120" x 120" (304.8 x 304.8cm) Hobbs Heirloom Black is a wadding for use in quilts with darker fabrics. 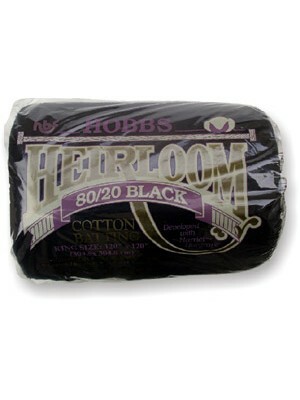 It is..
Hobbs Heirloom Black pack measures 90" x 108" (228.6 x 274.3cm) Hobbs Heirloom Black is a wadding for use in quilts with darker fabrics. 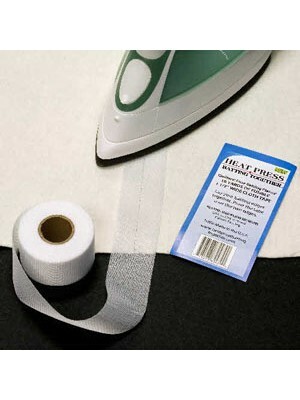 It is ..
Heirloom Fusible Pack measures 45" x 60" (114.3 x 152.4cm) This is a fusible version of the Heirloom Premium This wadding is 80% cotton 20% polyeste..
Heirloom Premium Pack measures 45" x 60" (114.3 x 152.4cm) This wadding is 80% cotton 20% polyester, lightly needlepunched and lightly resin bonded.&..
Hobbs heirloom premium pack measures 81" x 96" (205.7 x 243.8cm) This wadding is 80% cotton 20% polyester, lightly needlepunched and lightly resin bo..
Heirloom Premium Pack measures 90" x 108" ( 228.6 x 274.3cm) This wadding is 80% cotton 20% polyester, lightly needlepunched and lightly resin bonded..
Heirloom Premium Pack measures 72" x 90" (182.8 x 228.6cm) This wadding is 80% cotton 20% polyester, lightly needlepunched and lightly resin bonded.&..
Heirloom Premium Pack measures 120"x120" (304.8x304.8cm) This wadding is 80% cotton 20% polyester, lightly needlepunched and lightly resin bonded.&nb..
Sew Simple Lap Size 45 x 45ins (114.3 x 114.3cm) 80% Cotton 20% Polyester Wadding Machine or Hand Quilt up to 10" apart Made with long stapel cotto..
Sew Simple Cot Size 45 x 60ins (114.3 x 152.4cm) 80% Cotton 20% Polyester Wadding Machine or Hand Quilt up to 10" apart Made with long stapel cotto..
Sew Simple Queen Size 108 x 90ins (274.3 x 228.6cm) 80% Cotton 20% Polyester Wadding Machine or hand quilt up to 10" apart Made with long stap..
Sew Simple Twin Size 72 x 90ins (182.9 x 228.6cm) 80% Cotton 20% Polyester Wadding Machine or hand quilt up to 10" apart Made with long staple cott..